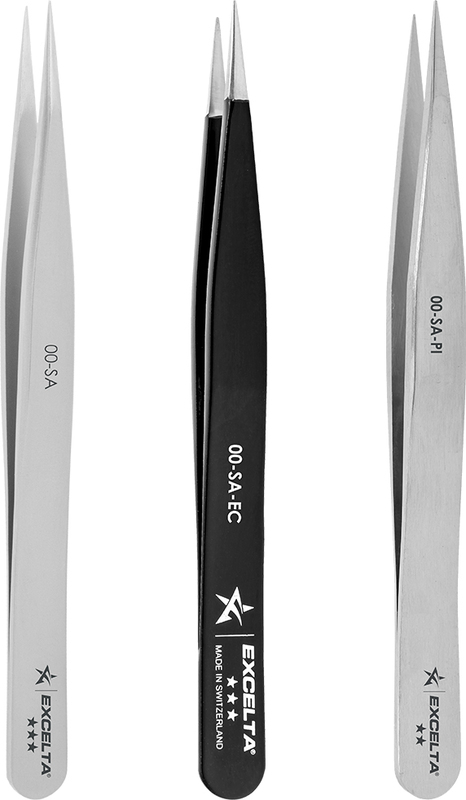 The Style 00 medium pointed tweezers is the most popular general purpose tweezers used without magnification. The thickness of the points allows for an extended life. 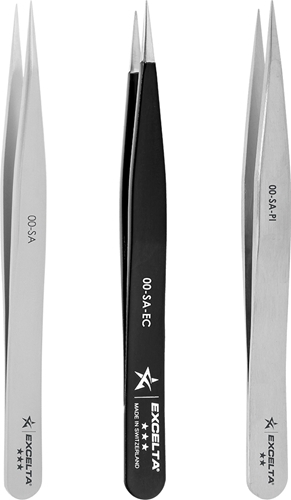 EC suffix denotes epoxy coated handles. Tweezer - **- Straight Strong - 4.5" SS/Anti-Mag. Tweezer - *- Straight Strong - 4.5" SS/Anti-Mag.